A heat treatment process that employs the existing carbon content in a steel part to increase its hardness from its surface down to its core. Through-hardening is effective on steels with 30 points or more of carbon. Low-carbon steels cannot through-hardened, but can be case-hardened instead. 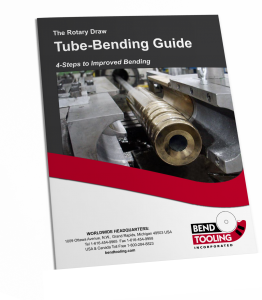 Through-hardened materials tend to be harder but more brittle than case-hardened ones, and this can be a drawback in bending dies which require toughness rather than extreme hardness. Compare case-hardening.